The largest sports media property in Asian history, ONE Championship™ (ONE), has announced that its inaugural event in Surabaya, Indonesia, ONE: CONQUEST OF KINGS initially set for 29 July, is currently being rescheduled due to logistical issues and has been postponed as of further notice. ONE Championship is the largest sports media property in Asian history. Headquartered in Singapore, the world’s most exciting mixed martial arts organization hosts the largest sports entertainment events across Asia featuring the best Asian mixed martial artists and world champions, all signed to exclusive contracts, on the largest media broadcast in Asia. 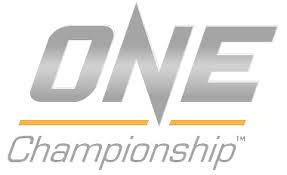 ONE Championship is broadcast to over 1 billion viewers across 128 countries around the world with some of the largest global broadcasters, including FOX Sports, Setanta, MNC, Astro, Thairath TV, ABS-CBN, TV5, MYTV, HTV, OSN and more.